Since the Sixth Century BCE, people have been learning about their world through the physical examination of objects. Museums of artifacts began as the private collections of wealthy individuals and families. 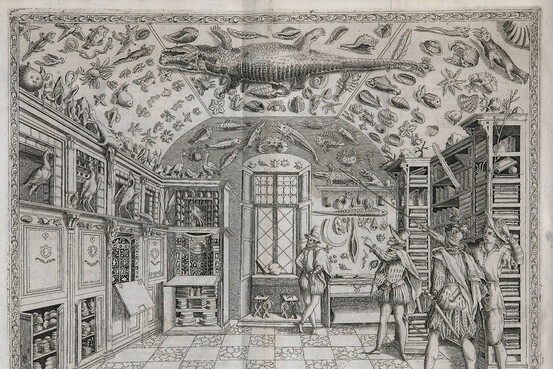 Rare artifacts or curious natural objects were often displayed in “wonder rooms” or “cabinets of curiosities.” Access to these items was restricted to collectors’ friends and family, but hands-on inspection and analysis of the artifacts was encouraged. In the United States, portrait artist Charles Wilson Peale opened his collection of curiosities to the public and established the first museum in Philadelphia just after the American Revolution. Personal involvement with his collection was the norm until later in the 19th century when the increased traffic in museums required that items be protected behind glass. At the same time that Peale was popularizing the modern idea of a museum, Louis Agassiz, a renowned Swiss scientist, arrived in the United States. 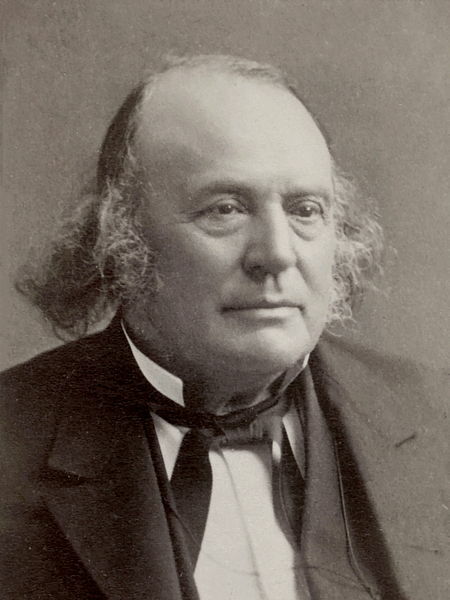 A prominent naturalist when he arrived (he was and accomplished ichthyologist and also the first to describe and explain the theory of repeating Ice Ages), Dr. Agassiz established the Museum of Comparative Zoology at Harvard and chose his graduate students through a rigorous system of analysis. He presented each prospective student with a preserved fish, instructed the student to “look at the fish,” and then he left the room, sometimes not to return until the next day. When he did return, he asked the student, “What have you learned?” Regardless of the answer he received, Agassiz always responded with, “Look at your fish again!” This process continued until Agassiz felt that the student had conducted an exhaustive analysis and understood that graduate school at Harvard would be hands-on, through analysis of objects and artifacts. Louis Agassiz established that artifacts are “Instructionally Sound”: the third “I” in artifacts. Employing artifacts in the classroom introduces depth, rigor and critical thinking. Asking the simple question, “How is this item important to us right here, right now?”, demands that students draw on their personal experience, their background knowledge and their critical thinking skills. The application of prior knowledge in the acquisition of new knowledge is a valid definition of adding depth to classroom lessons. Using old knowledge in new ways allows students to explore alternatives, nuances and complexities. At the same time, using artifacts adds rigor to your lessons. 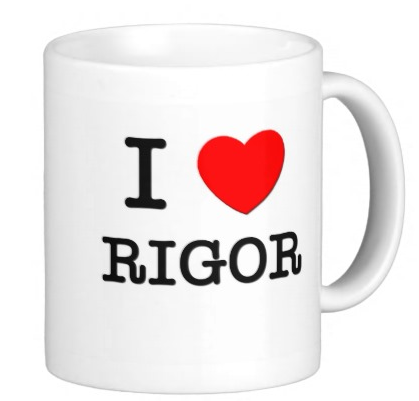 If we define rigor as the continuous engagement in increasingly challenging tasks with decreasing instructional support, then introducing artifacts introduces rigor automatically. Asking the question, ,”How is this important to us right here, right now?” and requiring students to determine the answer themselves…. just like Louis Agassiz required of his students.. provides the kind of rigor that promotes problem-solving and decision-making skills in your students. Finally, artifact study demands critical thinking. Analysis, synthesis, decision-making, problem-solving, and communication of results are the critical thinking skills that we are all challenged to teach. As we have demonstrated in Parts I and II of this series, artifacts naturally provide that opportunity. Posted in Classroom Practice, Content, Creative Thinking, Education and Change, Engagement, English, History, Language Arts, Math, Pedagogy, Problem Solving, Rigor and Depth of Content, Science, Teachers and tagged 21st Century Classroom, 21st Century Skills, Artifacts, Best Practice, Classroom, Classroom practice, Education, Effective Teaching, Higher Order Thinking, improving student achievement, Language Arts, math, Science, Social Studies, Student Engagement, Teachers, Teaching. Bookmark the permalink.